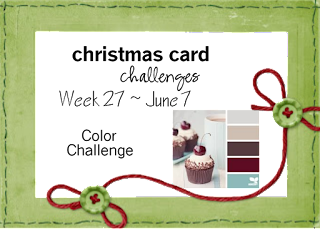 It's time for another Christmas Card Challenge and this one is a color challenge. I love these colors. The card I made is simple and I tried to keep it all about the colors. I really like how the new Mint Macaron In Color looks embossed with the Honeycomb Embossing Folder. And, who can go wrong with Cherry Cobbler, right? So, come play along and show us how these colors inspire you. We'd love to see what you create! Don't you think the colors were beautiful for this challenge? They are some of my favorites to use for my Christmas cards. 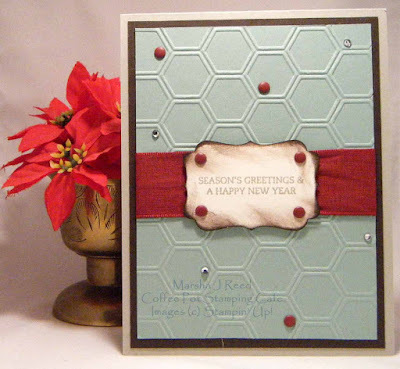 I hope you will join us this week at Christmas Card Challenges.